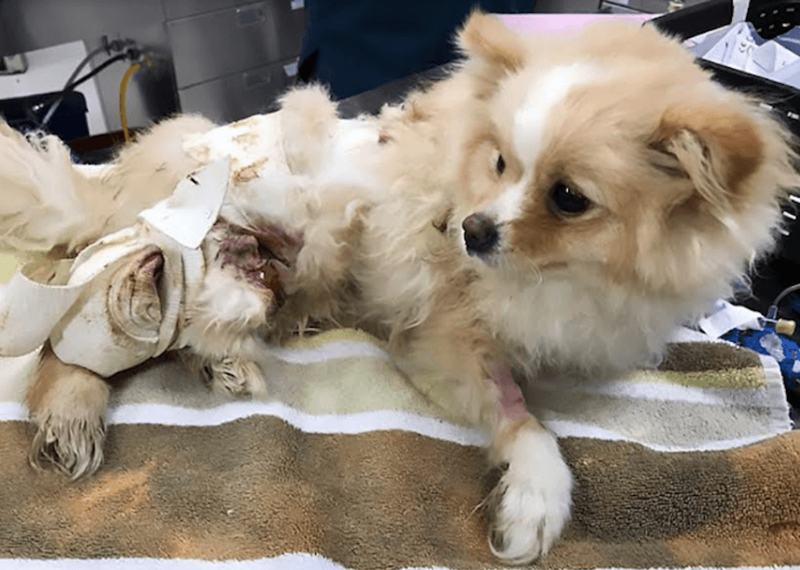 An eight-month old Pomeranian puppy was so badly abused that her skin “literally rotted off,” according to her rescuers at the BC SPCA. 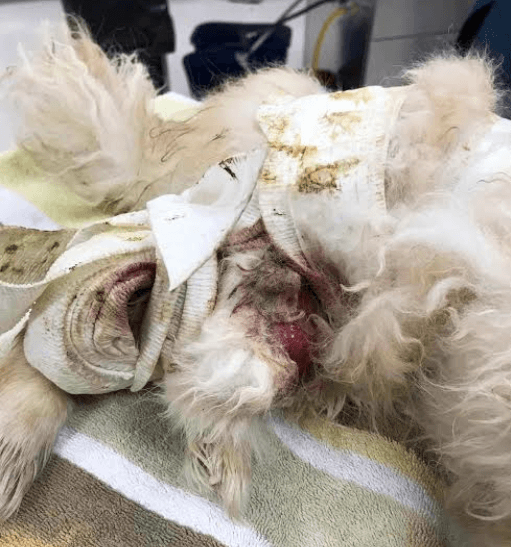 Officials said they were first made aware of the dog’s plight when they received a report from a member of the public that a puppy had been allegedly abused by one of its owners and was being taken to a local animal hospital. Animal Protection Officers arrived at the hospital and the puppy – named Kiki – was surrendered to the animal welfare agency. Kiki was then examined by the veterinarian who observed that Kiki had a bandage tied tightly around one of her rear legs resulting in a large open skin infection, which had spread to her back and legs. X-rays also showed she had a number of older fractures to her ribs. Now, Animal Protection Officers will be recommending charges to Crown counsel. 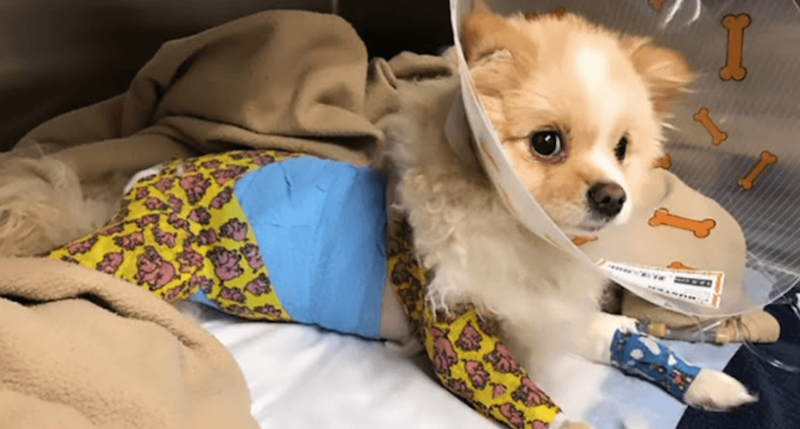 In the meantime, the SPCA said Kiki’s medical costs are estimated to be around $6,000 and she will be in SPCA care for up to two months recovering from her injuries. Anyone who can help with the costs of caring for Kiki is asked to visit the BC SPCA online, or visit the Vancouver branch at 1205 East 7th Avenue, Vancouver.